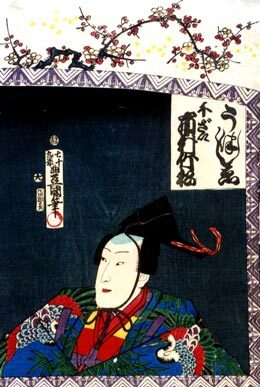 The actor zamoto Ichimura Uzaemon V held the name of Ichimura Takematsu I from the beginning of the 1660s to 1675. Ichimura Takenojô II held the name of Ichimura Takematsu II. The actor Bandô Kakitsu I held the name of Ichimura Takematsu III from the 11th lunar month of 1848 to the 7th lunar month of 1868. 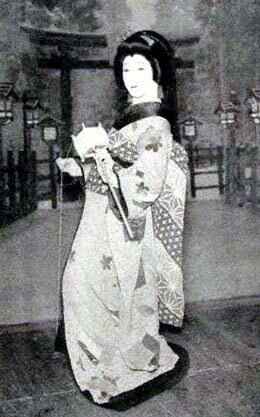 The actor Ichimura Uzaemon XVI held the name of Ichimura Takematsu IV from April 1910 to December 1924. Ichimura Takematsu IV playing the role of Omiwa in the drama "Imoseyama Onna Teikin"
The actor Ichimura Manjirô II held the name of Ichimura Takematsu V from October 1955 to April 1972. Ichimura Takematsu VI is the current holder of the name since November 1994.